I've been working long hours recently, and the only blog-related activities I've partaken in revolves around my nails. Surprise surprise! 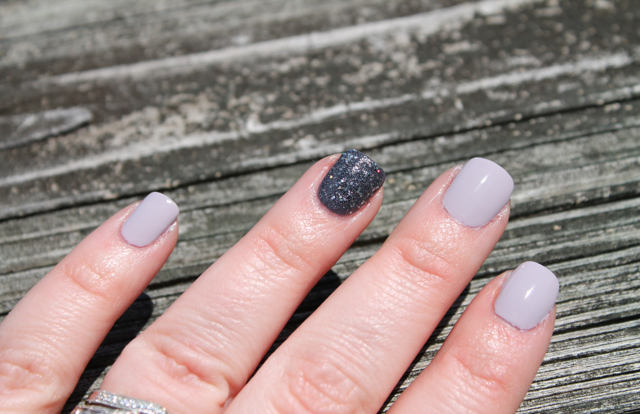 The polishes I used are Zoya Kelly, Kendal, and China Glaze 'Some Like it Haute.' Zoya Kendal is the perfect neutral, and I love using it as a base for a wild accent nail. I was sad to see that Some Like It Haute (awesome name right?!?) was really thick and gloopy, and only after a year. I'll put some nail polish thinner in it (Available at Sally's) and attempt to save it. Hope you had a great weekend, now that it's practically Wednesday! Love this! I'm a huge fan of using thinner to save polishes too! completely love some like it haute! Pretty, I love this color combo!